Tool only no battery or charger. Dewalt table saw- vintage but still works ! Black and Decker drill with case- works! Chicago Electric 7" Angle grinder- works! Description: RIDGID introduces the upgraded 7 in. 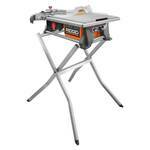 Portable Jobsite Wet Tile Saw with included Tile Saw Stand. Upgraded features include an anti splash system that keeps your work area almost completely dry. The rip cut capacity has also been upgraded to 24 in. because of the detachable table support. This saw is backed by the RIDGID lifetime service agreement. Free parts. Free service. For life. Description: This Reconditioned 2,000 PSI 1.2 GPM Electric Pressure Washer is designed with a powerful 13 Amp electric motor and Pressure Technology to give you a powerful spray for even your toughest jobs. Each waster includes a hose reel for easy storage and an attached roll cage for added protection. Perfect for easy transport and general use around the home. 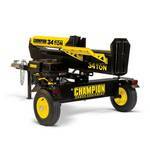 The Champion Power Equipment 100425 34-Ton Horizontal/Vertical Full Beam Log Splitter offers relief from the back-breaking work of splitting logs. A powerful Champion 338cc single-cylinder OHV engine features; cast-iron sleeve, 1.6 Gal. fuel tank, 1.2 Qt. oil capacity (recommended 10W-30) and low-oil shutoff sensor. Never struggle with large logs again, as three simple steps converts the splitter from horizontal to vertical. Thirty-four tons of splitting force power your needs to handle logs up to 24 in. long, weighing up to 100 lbs. Hydraulic oil system has a 6.8 Gal. oil capacity and operates at 13 GPM. Capable of over 200 cycles per hour with a 16-second cycle time, expanded operator area and dependable auto-return valve. Log catchers keep the split wood within easy reach. A 2-stage gear pump reliably adjusts flow and to increase productivity. 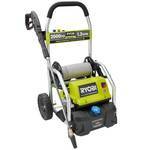 Fits in most truck beds or towable with DOT-approved wheels for up to 45 mph, a 2 in. ball hitch coupler and an extended tongue that will fit most ATV/UTV towing applications. Hassle free with included oil funnel, 10W-30 engine oil and hydraulic oil. (Note: unit comes assembled when purchased in-store; units ordered online come unassembled even if picked up in-store). EPA certified and CARB compliant. Buy with confidence - our reliable support and network of service centers will back your purchase up with a 2-year limited warranty and FREE lifetime technical support.